Combine the macros made available by Scaffolding, Reporting and Linking add-ons by ServiceRocket in order to build a one-stop Content Moderator Dashboard. Content can get out of control easily. 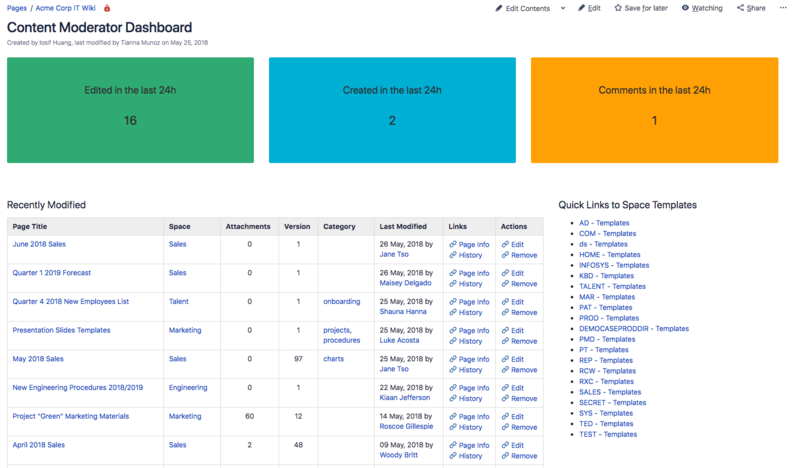 Moderate it directly in on one centralized page in Confluence.